There are fewer finer camping experiences than waking up to the soothing sound of a babbling brook, the gentle lapping of a lake or the breaking of ocean waves. Waterside campsites captivate the imagination with the possibilities of lazy days spent relaxing lakeside, cooling off with a spot of wild swimming and dreamy evenings telling tales from the riverbank under star-studded skies, the glow of a campfire reflecting off the water. Camping beside the waters edge truly recharges the batteries and reinvigorates the soul. So if you find yourself in dire need of a digital detox, bin the self-help book, pack up the tent and seek wellness by the water's edge at the waterside campsite of your dreams. From campsites on fisheries and canal camping, to epic Scottish lochs, riverside retreats and beachside campsites so close to the surf you’re practically staying in a sandcastle, our guide to waterside camping boasts a stunning array of waterside campsites across the UK and Europe. Although there are a plethora of commercial holiday parks more suited to holidaymakers with caravans and motorhomes or novice campers who seek static caravans, children’s entertainment and campsites with bars and restaurants, our collection focuses on the best small-scale, independent, tent-friendly campsites, with many waterside campsites suitable for campervans and dog-friendly to boot. Depending on camping health & safety (and likelihood of flooding permitting! ), many riverside campsites permit campers to pitch right on the riverbank, meaning guests can soak up the true waterside camping experience (though hopefully not literally!). Similarly, many campsites by the sea offer coveted spots overlooking the ocean – just be warned, there’s often a real scramble for the best summer campsites with sea views so be sure to book early to avoid disappointment. 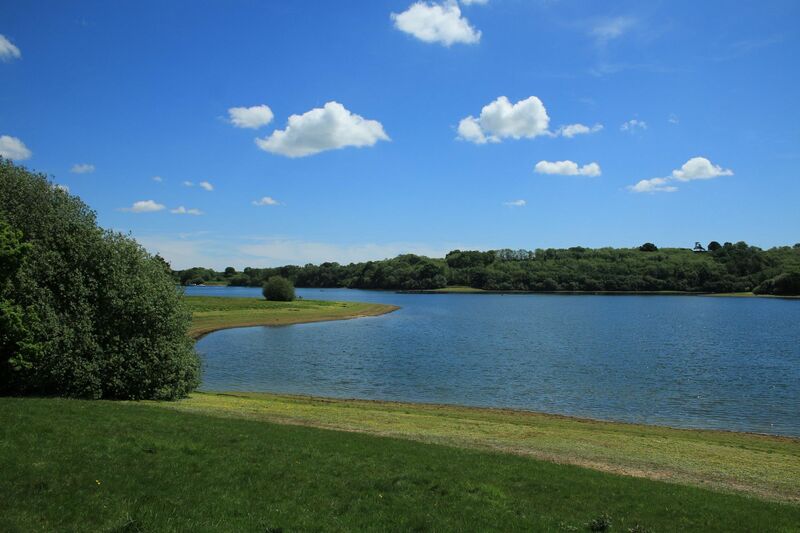 As well as the best waterside campsites to pitch your tent, our collection boasts a whole host of glorious glampsites beside lakes, river and beaches. So if a hassle-free holiday appeals, leave the tent at home and consider a stay in a bell tent on the beach, pondside pods, seaside shepherds huts, or treehouses overlooking some truly beautiful bodies of water. Many luxury campsites even include glamping hot tubs – you can't get much more waterside than that! With over 7,500 miles of coastline, the UK boasts a bundle of beach bordering campsites by the sea. While we may not be blessed with the sun-kissed seas of the South Pacific, for sheer dramatic beauty our beaches take some beating. 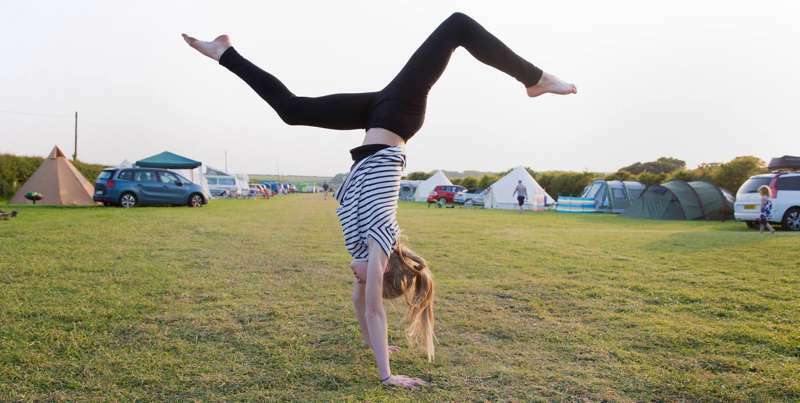 Coastal campsites can be found all across the UK’s most iconic seaside regions, each area offering a fresh perspective on seaside camping in the British Isles. 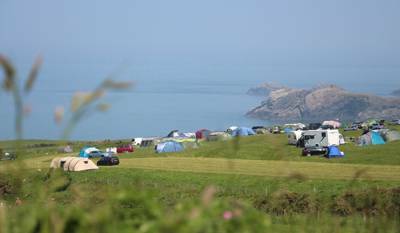 Campsites on the Pembrokeshire coast, for example, draw summer surfers in droves eager to take on the waves at Whitesands and Newgale to name just a couple of well-known surf spots. Some of the best beachside campsites in Wales can also claim prime pitches for spotting dolphins from the comfort of your tent. Across the Bristol Channel, surf-friendly campsites in North Devon boast ready access to some stunning beaches such as Croyde and Woolacombe, with many friendly campsites offering surf lessons as well as board and equipment hire which can be arranged onsite. For coastal camping, Devon’s campsites are rivalled closely by the south-west’s other great coastal county, Cornwall. Cornwall’s sands regularly top lists of the world’s best beaches and there’s plenty of places to pitch up within strolling distance of Falmouth, Fowey, Newquay and St Ives amongst other quieter beaches. Or go camping in Somerset to savour the sands of Minehead beach or Weston-Super-Mare, the latter hosting the annual Weston Sand Sculpture Festival. Be sure you don’t leave your bucket and spade back at the campsite! 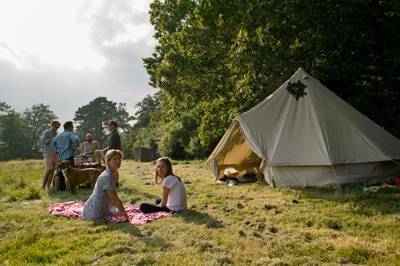 Campsites in Dorset and Hampshire enjoy the best of both worlds, being near to both the New Forest and the historic Jurassic Coast. Likewise, camping and glamping sites on the south coast can boast great days out within easy reach of camp with both the South Downs National Park and some of the UK’s most interesting coastal towns, including bohemian Brighton, nearby. It’s not just tents, caravans and campervans that enjoy all the pick of the coastal spots. There are many luxury glamping options in sight of the sea, particularly in areas close to London such as the North Norfolk Coast with bell tents and yurts near the beach available year round. A location near the sea means many camping and glampsites can offer some wonderfully quirky nautical abodes so be sure to look out for glamping boats and ships to stay in. While there are few places where you can camp directly on the beach itself, Cool Camping knows of a spot on the Northumberland coast where you can pitch your tent among the sand dunes. It’s a real treasure and and a strong contender for the UK’s best beachside campsite. The great summer camping holiday in France is an annual ritual for legions of British holidaymakers, not to mention a popular pilgrimage for our continental cousins in Germany, Spain, Italy and the Netherlands amongst other European countries. The French camping scene is as varied as its many stunning natural regions, with everything from tent campsites on traditional working farms to more developed holiday park style establishments with ready-made tents, chalets and ample provisions for motorhomes and caravans. While there are a bounty of breathtaking spots in the mountain campsites of Europe in iconic camping areas such as the Alps, Pyrénées and Midi-Pyrénées, for our money it’s the waterside spots that really sum up the French camping experience. What could be more idyllic on a balmy summer’s day than finding a hidden waterway in the French countryside for a refreshing spot for wild swimming? Campsites in Brittany and Normandy continue to draw British holidaymakers seeking seaside camping while not wishing to drive too far from the ferry crossing at Calais. For guaranteed sun and calmer seas, flying to Nice to camp on the the French Riviera (or Cote d’Azur) on the Mediterranean coast is probably a safer bet compared to the campsites on its more exposed Atlantic coast counterpart. France has no shortage of stunning lakes and rivers beside which to camp. The Rhône Valley is a camping hotspot with visitors drawn to its vineyards, chateaux and historic cities such as Lyon. Following the river south-east towards the border with Switzerland, in the the departments of Savoie and Haute-Savoie, campers will find a trio of the country’s most spectacular lakes – Lac d’Aiguebelette, Lac d’Annecy and Lac du Bourget (the biggest lake in France). These inland beaches boast bundles of watersports to enjoy in some of the clearest Alpine waters around – and not a jellyfish in sight! Contesting the title of French lake district, the Limousin region is another firm favourite with French camping fans. When not exploring the medieval delights of Limoges or walking in the Périgord Limousine nature park, campers can most often be found at Lac de Vassiviere or Lac de Saint Pardoux enjoying sailing, swimming and sunbathing. Arguably France’s most popular camping region, the riverside campsites of the Dordogne are not to be missed. 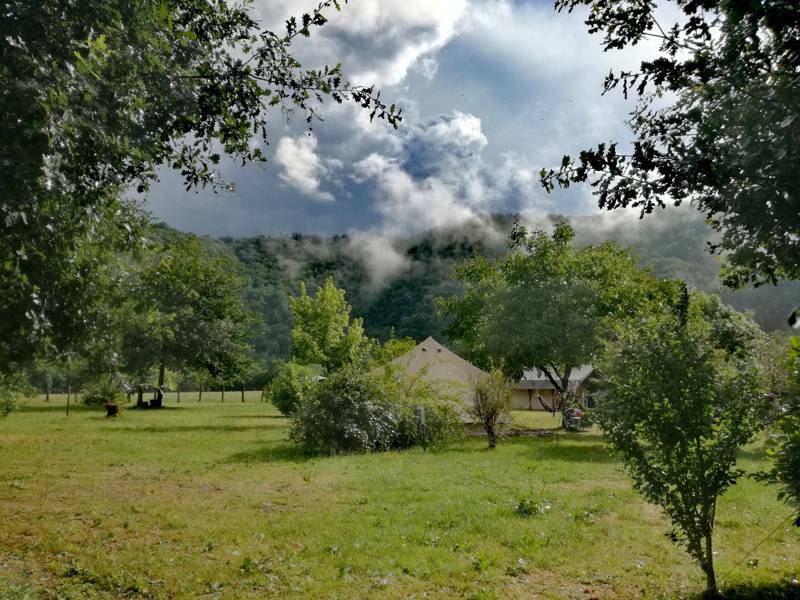 Well-tended campsites with spacious grass pitches, hard-standing spots for campervans, and classic French gîtes within paddling distance of the river can all be found on the menu here. Along with other outstanding epicurean delicacies (evident by the ubiquitous vineyards), it isn’t hard to see why scores of British ex-pats have made the Dordogne Valley and Lot their home from home. And if your itinerary allows, we highly recommend a cruise down the Dordogne’s neighbouring river the Garonne – the best way to explore the captivating Aquitaine including the jewel in its crown, Bordeaux (be sure to sample a few glasses of the titular tipple while you’re there). And speaking of the grape, wine worshippers camping in the Loire Valley will rejoice at the sheer number of vineyards to tour and independent wineries to visit (particularly in neighbouring Burgundy). Perhaps reflecting the upmarket tastes of its tourists, glamping near the River Loire has become even more popular in recent times with a cluster of luxury campsites in central France now stretching from Angers through Saumur following the meandering river through south-east France past St Etienne. Did you know, there are almost 200 inhabited islands off the coast of the British Isles? 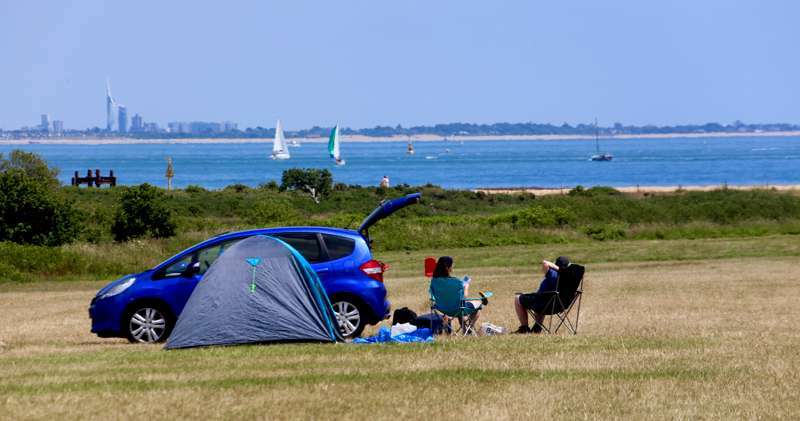 While not all might be suitable for camping (the east Essex island of Foulness doesn’t sound too inviting), our guide features some of the best island campsites – from mighty mountainous outcrops to tiny seabound specks in the remotest waters off the UK coastline. The better known islands have been hosting campers for decades. The Isle of Wight, for example, has a wealth of fantastic campsites drawing the canvas contingent to its sun-kissed clifftops. And it’s not just tent camping that thrives there. Once just the backstage accommodation of choice for the stars performing at the Isle of Wight Festival and Bestival, glamping on the Isle of Wight is now more popular than ever with luxury yurts, safari tents and bell tents to be found across the island. Unlike the short ferry crossing over The Solent, getting to the campsites on the Channel Islands requires a little more determination with a flight to Jersey the preferred method for many campers. Anticipating this, certain campsites on Jersey, Guernsey and Sark offer pre-pitched tents or glamping accommodation for those travelling by plane. Similarly remote, half the fun of camping on the Isles of Scilly of the Cornish coast is the intrepid journey getting there. Those who make it will be rewarded by an almost tropical micro-climate that sees Caribbean levels of sunshine making it the hottest part of the UK. And because the islands are largely car-free, peace and quiet is all but guaranteed. When we talk about island camping in the UK, few places can compete with the campsites on the Scottish isles. If you’re truly looking to get away from it all, the hundreds of islands that pepper Scotland’s windswept coast are the perfect place to escape. From the Orkney Islands to the Hebrides, the Scottish islands offer camping on some of the most breathtakingly remote places in the UK like the Isle of Skye and Isle of Eigg. Camping here is a basic affair so don’t come expecting en-suite facilities or glamping sites with hot tubs (although there is a cracking yurt site on the Isle of Arran). But the sites are spacious and you can largely pitch where you like for the most part. Due to the exposed nature of these far-flung islands, some campsites offer more robust accommodation like the bothies and pods found at one site on South Ronaldsay. So if respite from the rat race is what you seek, find your own special tiny island escape. For really experiencing the thrill of the Great Outdoors and getting acquainted with nature, there’s nothing quite like camping by rivers and lakes. When you’re unplugged from the hectic hullabaloo of the daily grind, the restorative nature of a tranquil waterside stay can really get you back on track. Not just a watertight de-stress remedy, there’s also a wealth at aquatic activities to enjoy at waterside campsites from canoeing, fishing and sailing to kayaking, wild swimming, and even stand-up paddle boarding (SUP). Water, of course, is a magnet for wildlife too, so lakeside and riverside campsites are great for any novice naturalists who can spot birds and bugs from the comfort of their pitch. Even those campsites on the farm with a humble pond are visited by flocks of curious birds and dive-bombing dragonflies. There are a glut of stunning campsites in the Lake District with several campsites near Lake Windermere, the UK’s largest lake, not to mention Buttermere and Coniston Water. While these mighty meres attract the tourists to Ambleside and Grasmere, those camping in Cumbria should be sure to take to the surrounding fells and ghylls to explore the Lake District’s more isolated becks and tarns. Glamping in the Lake District has become more popular in recent years with several sites offering pods, shepherds huts, yurts in the Lake District National Park proper. 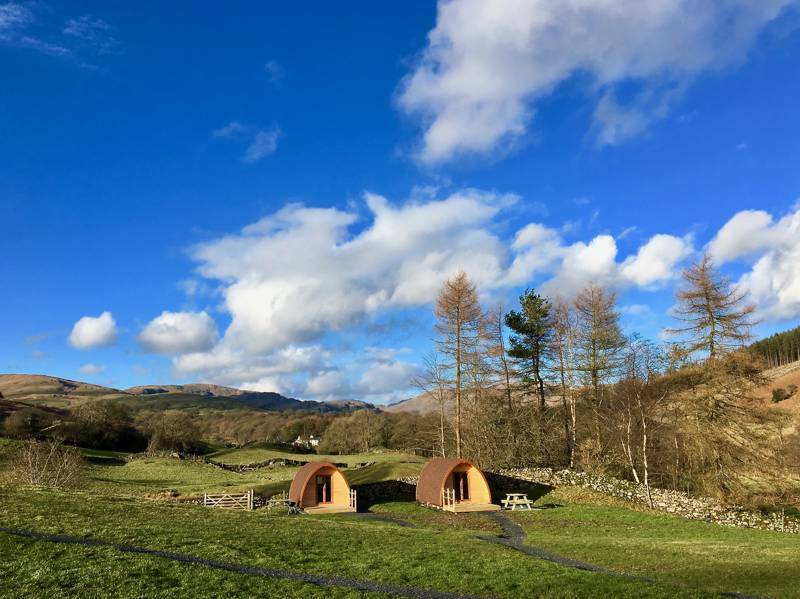 One Cool Camping-approved site near Penrith even offers unique ‘Hobbit Holes’ with stunning views of Ullswater. Similarly, camping near the Scottish lochs means a wealth of outdoor fun in one of the world’s most captivating landscapes. 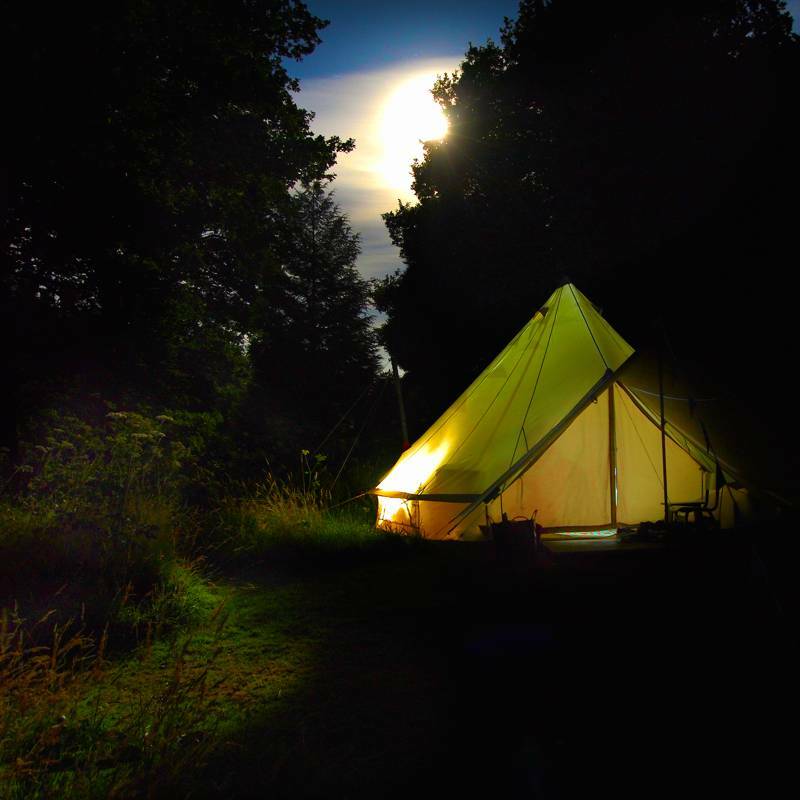 There are ample campsites near Loch Ness to accommodate the Nessie-spotters and several campsites in the Loch Lomond & the Trossachs National Park. Glamping options include Highland lodges near Loch Tay and pods on the shores of Loch Katrine where you can cruise the narrow, icy waters on a 19th century steamship. 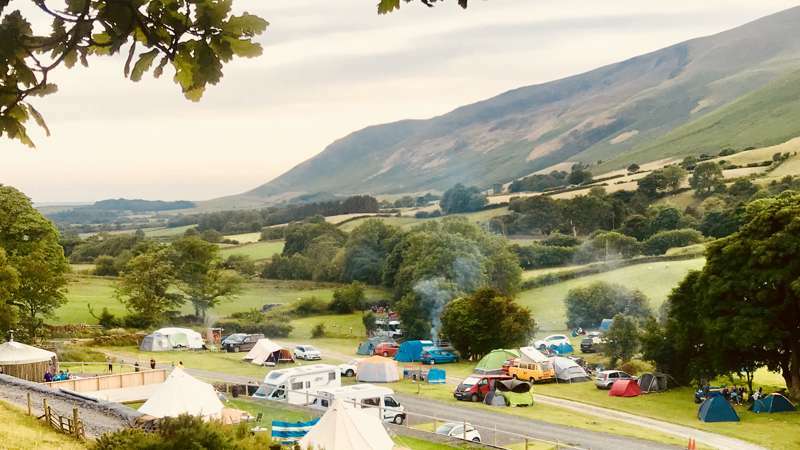 Riverside camping in the Peak District takes in such locations as the River Derwent and River Dove, while the Yorkshire Dales and Mid Wales boasts campsites near some truly breathtaking waterfalls like Aysgarth Falls and Pistyll Rhaeadr respectively. You’re never far from a place to pitch near some of the UK’s most iconic rivers like the Avon, Severn and the Thames, the latter offering several tent and campervan-friendly campsites near its source in The Cotswolds. For campsites near London, there’s even one nearly wild camping spot beside the River Lea that’s just half an hour from the capital. And if canoeing is your thing, look no further than the Norfolk Broads. With over 120 miles of waterways and seven different rivers to explore (and with many campsites in the Norfolk Broads offering canoe hire too), there’s no excuse for not taking to the water. Waterside Campsites riverside lakeside water-side lake-side river-side at Waterside Campsites, Hope ashore and explore this collection of the very best riverside and lakeside campsites in the UK, France and Europe. 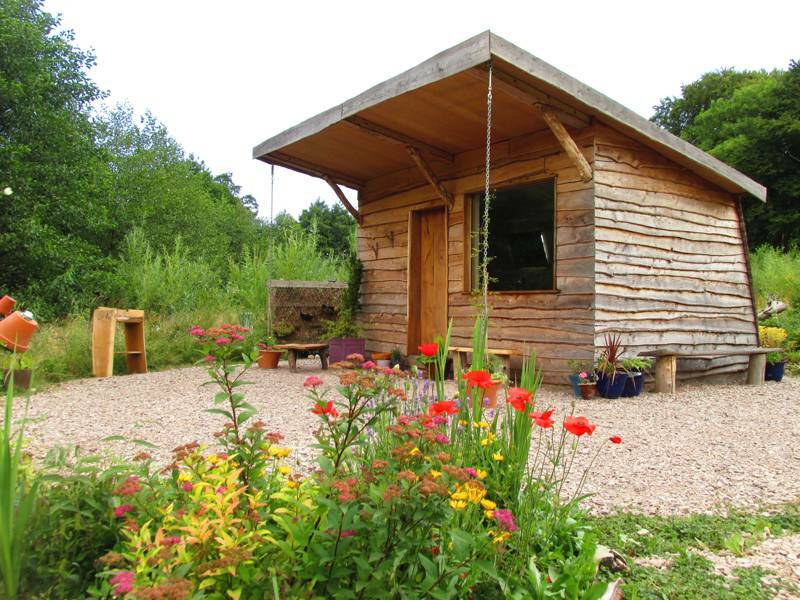 Glamping in coastal Essex, lakeside camping in Aquitaine, riverside camping in Powys - there are campsites aplenty, you won’t know which site to choose.